Jonathon Keats is an American conceptual artist and experimental philosopher known for creating large-scale thought experiments. 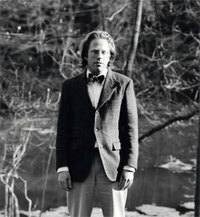 Keats was born in New York City and studied philosophy at Amherst College. He now lives in San Francisco and Italy. Is this you? Let us know. If not, help out and invite Jonathon to Goodreads.